A rich, purposeful life is created in an environment in which you can feel secure, socialize, maintain good health and exercise independence. 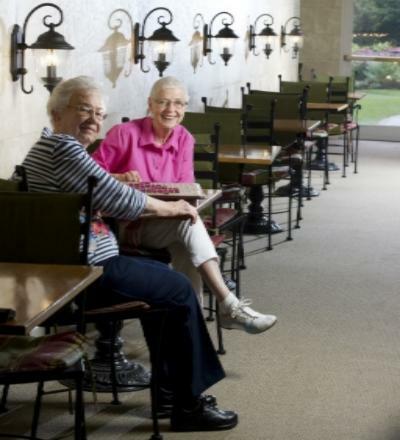 Senior living communities are designed to provide this kind of customized fit and support for your lifestyle. These facilities, including retirement communities in Michigan, offer specialized nursing care, fitness programs, religious service and a host of activities to engage your mind, body and spirit. Residents are never bored in a senior community. There are a variety of activities offered both on-site and within the local community. Popular events include day trips to attractions, meals in favorite restaurants, and visiting musicians and performers. It’s difficult to keep up with daily home chores at any age! However, many older folks find pulling weeds, hauling heavy vacuums, changing lightbulbs and mowing lawns cumbersome and stressful. Senior communities do all the small jobs for you, and many offer the opportunity for interested residents to actively grow small gardens or flower pots. The elderly may not eat properly, especially if grocery shopping is a hardship. Senior communities offer fine dining experiences every day of the week. The food is tasty, well-balanced diets are encouraged, and special dietary needs are satisfied. Many residents find their health improves shortly after moving in, simply from eating properly and consistently. Older folks are a vulnerable demographic particularly when it involves personal security. Senior communities protect residents from thieves, con artists and vandals. Furthermore, emergency response systems are available in each apartment or on the resident as a pendant. This alleviates the possibility of falling, being trapped, or experiencing illness for hours or even days. Older adults who live alone become isolated and depressed. In senior communities, it’s easy to make friends while sharing meals or enjoying day trips. If an individual is introverted, they can still maintain their privacy, but have the satisfaction of knowing others are within the vicinity. A common fear among older folks is losing independence. However, a loss of abilities doesn't mean a decreased quality of life. Skip the yard work, and instead, embark on a local excursion or enjoy an on-site musical performance. Never again worry about personal security while living among qualified professionals and those with similar needs. A bright future and new friends await you in an exciting senior community.